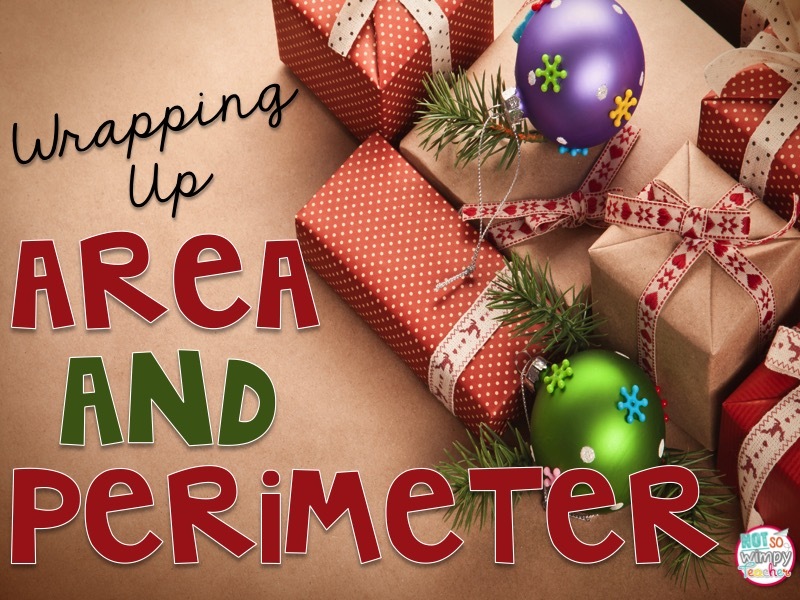 Time to be honest- I really don't like teaching area and perimeter. I love teaching math, but area and perimeter are not very useful skills in the whole scheme of things. None the less, my students are expected to master these skills so I have to come up with fun activities to practice the tricky skills. I think I have a winner for you!!! 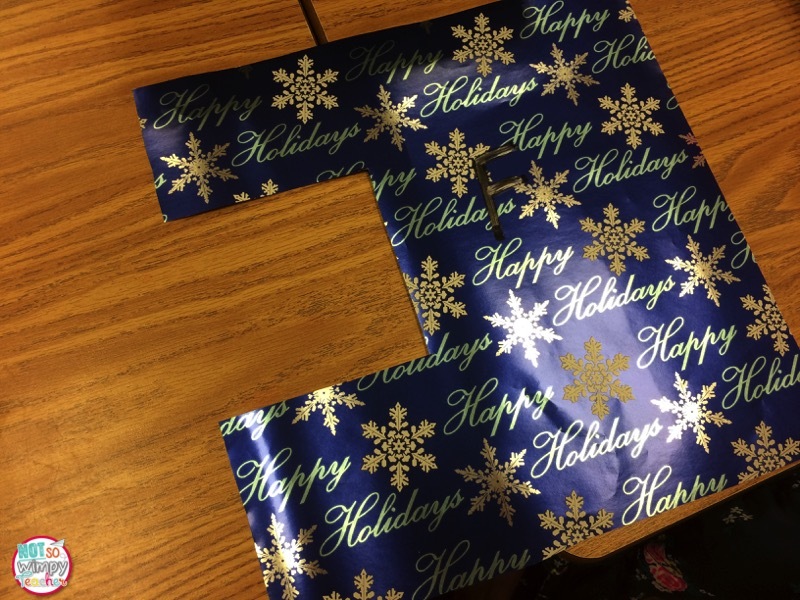 I cut 12 pieces of holiday wrap in a variety of sizes. I labeled each piece of wrap with a letter. Students scooted around the room with their rulers and calculated to area of each piece of wrapping paper. 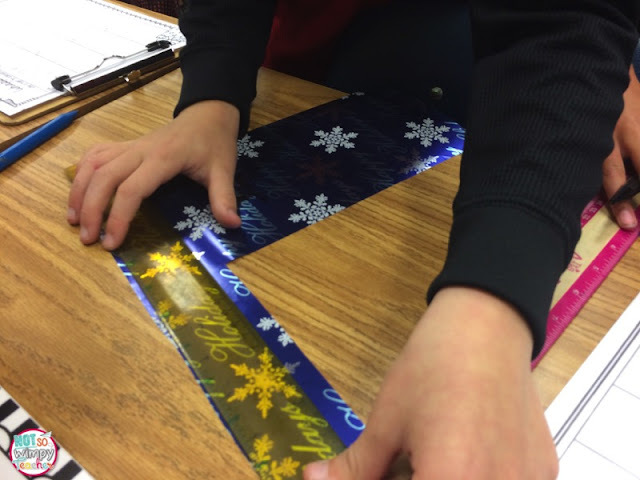 Students loved it and barely noticed how hard they were working! I added a challenge by including both rectangles and some irregular shapes! I also included large pieces. My students had to use the distributive property in order to solve the large multiplication equation. My class has only covered area- not perimeter. I only had them solve for area. But you could have them solve for perimeter as well! Click on the image below to grab a FREE recording sheet. I included a variety of recording sheets so that you can pick the one that best meets your classroom needs. 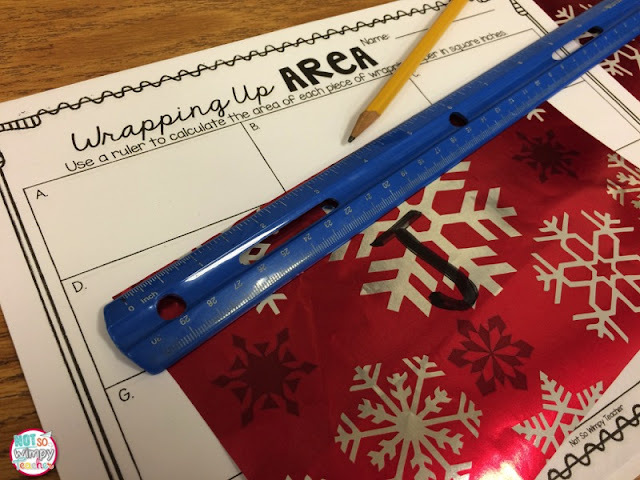 If you can't do this activity before Christmas- consider doing it with birthday wrap! Throw a party! 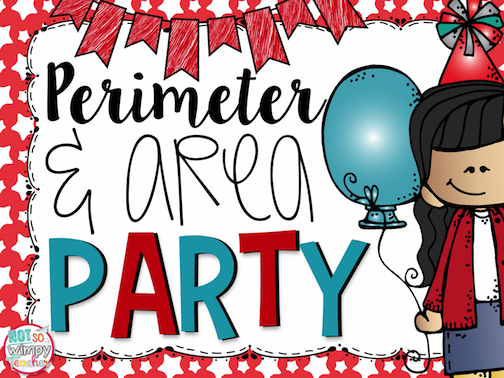 Have them do the scoot, play the area and perimeter party game and then enjoy some cake! 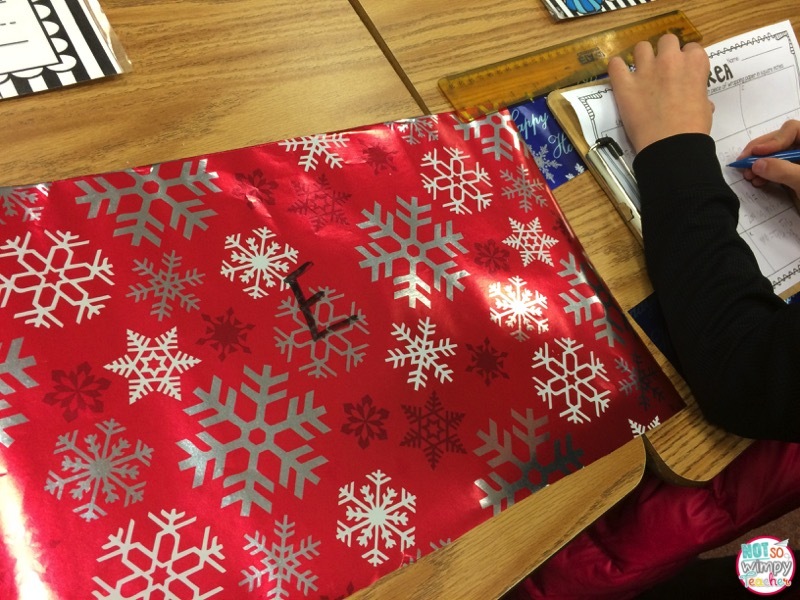 They can find the area of a sheet cake!